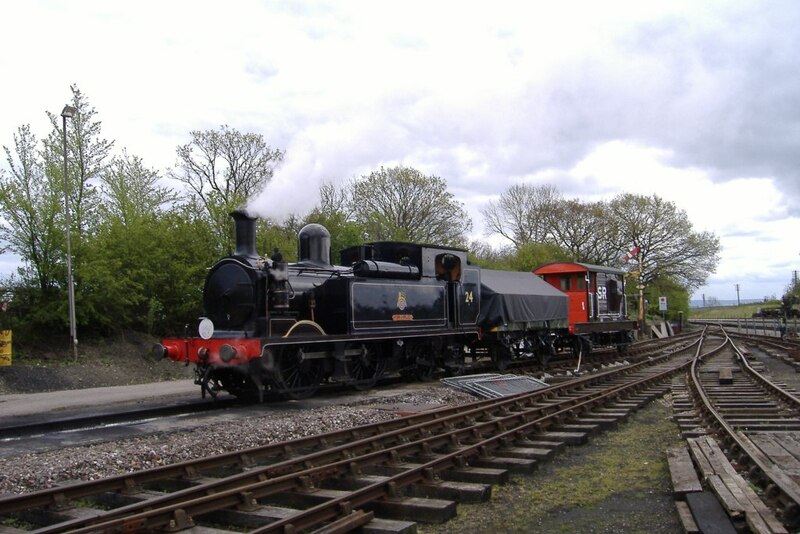 Normally based on the Isle of Wight Steam Railway Calbourne visited Quainton during May 2012. She was in steam from the 5th to the 7th May along with our Beattie well tank, disguised as her long lost sister No. 30586. Further details of Calbourne can be found on the IOWSR website. Tractive Effort :- 17,235 lb Boiler Pressure :- 160 psi Cylinder Dimensions :- 17½" x 24"
Weight :- 49t 4c Driving Wheel Dia. :- 4' 10"